Entercom and on-air personality Tamara G. have agreed to a new multi-year contract extension. The co-host of the morning drive on 101.5 LITE FM (WLYF-FM) in Miami will remain on "Julie Guy & Tamara G," weekdays from 5:30 a.m. to 10:00 a.m. ET. "Tamara G. is the yin to Julie's yang and we are thrilled to have her remain on the 101.5 LITE FM team," said Keriann Worley, Senior Vice President and Market Manager, Entercom South Florida. "Their morning show is so uniquely catered to South Florida listeners and features two of the market's most loved personalities." 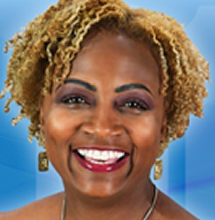 "Thanks to Keriann and Andy Holt [Program Director, 101.5 LITE FM] for continuing to see the vision of our show and for letting Julie and I do what we do best - be ourselves to educate and entertain our listeners in the Miami-Ft. Lauderdale area," said Tamara G. "I can't wait to continue waking up Miami with Julie each and every weekday." Tamara joined 101.5 LITE FM in January 2018. The move marked a reunion with morning show co-host Julie Guy, whom she worked with previously at WFLC in Miami. Prior to that, Tamara was on the nationally-syndicated "The Michael Baisden Show" and held various on-air roles at WEDR and WHQT in Miami and KDMX in Dallas.